I recently went away to Copacabana (NSW) and had a week of total relaxation. It was literally wake up in the morning and go to the beach, do something quiet during the day, then go back to the beach in the evening. I had rented a lovely house with ocean views, which I love, but as a person who loves to cook, the house had loads of magazines I could flick through and a few cookbooks. So as I had nothing else to do in my quiet time but lay back and relax, I would flick through a cookbook and magazine and find an easy recipe to try, and this was one of them. You may think why cook when on holidays, well we did go out a few times and can I say I found some great eating places at the central coast, but as I was doing nothing else, the cooking wasn't stressful at all. 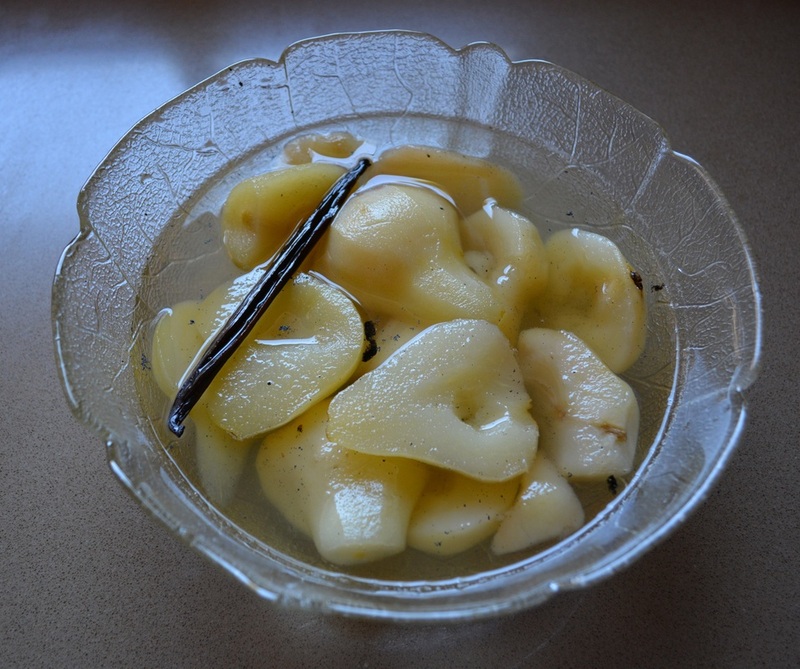 I have poached whole pears previously, and I love them. But I thought I'd share with you a quicker/different way to poach pears. 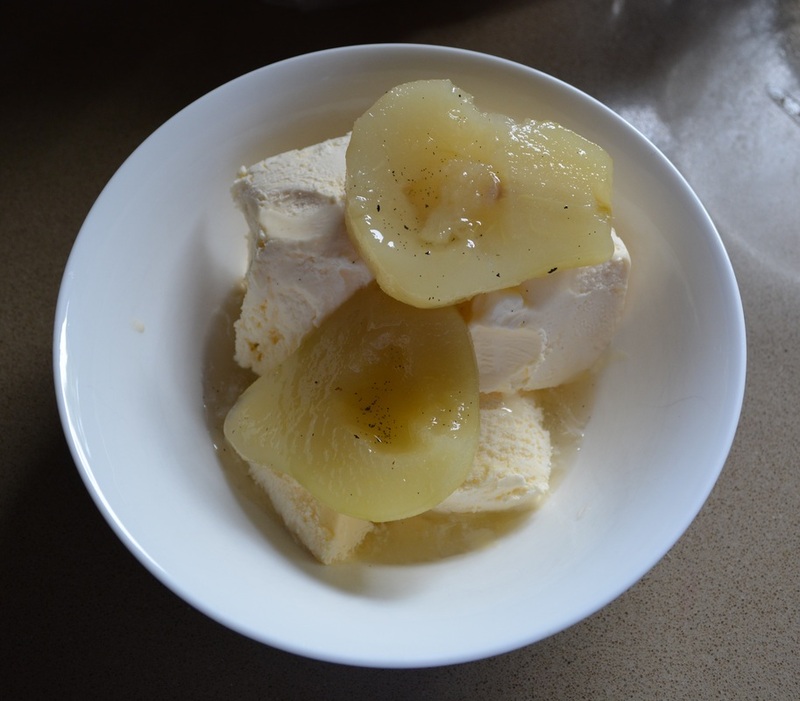 I served the pears with vanilla ice cream, as I love them with ice cream, but you could serve it up with thick yoghurt instead if you prefer. Also I like mine cold, so I refrigerate them for a few hours before serving, but try them warm, you may like it. Place the water, sugar, vanilla bean and scraped seeds in a deep saucepan over a medium-high heat, stir occasionally, until sugar dissolves, bring to the boil. Allow to simmer for 3 minutes. Add the pears in a single layer, bring back to a simmer, cook for 3 minutes on each side or until just tender. (Check by inserting a skewer or fork into the pear). It may take a few more minutes on each side (depends on the pear) just cook it until just tender. Serve warm with some of the poaching syrup and vanilla ice cream. Refrigerate the pears in the syrup, until cold, then serve with poaching syrup and vanilla ice cream.